The Carnaby Street pedestrianisation project, completed by Donald Insall Associates in 1973. Retail architecture is, by nature, fleeting. 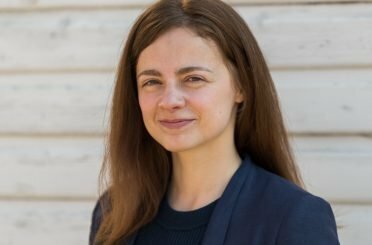 Changing styles and trends ensure a rapid turnover of shopfronts, often resulting in high streets, arcades and malls that are fragmented in design, presenting a unique series of conservation questions. In today’s digital age, local high streets and town centres face further challenges. As shopping habits continue to shift, various planning initiatives ‒ such as Historic England’s new ’Heritage Action Zones‘ and Canadian planner Brent Toderian’s ‘sticky streets’ ‒ are seeking to revitalise run-down areas and to adapt to changing consumer trends. Heritage-led planning initiatives have been used to great effect by Insall throughout our 60-year history, perhaps most notably in two bold pedestrianisation schemes commissioned by Westminster City Council: South Molton Street and Carnaby Street respectively. Undertaken in the 1970s, the projects were headed by architect Iona Gibson and sought to enhance the existing spirit of both places. The difference between the two locations was ‒ and continues to be ‒ marked. The psychedelia of iconic Carnaby Street, described as ‘wildly exciting’ by Iona, contrasts with the smart Mayfair townhouses of South Molton Street. South Molton Street, circa 1979. At Carnaby Street, Insall undertook a condition survey of buildings and advised Westminster City Council on the pedestrianisation of Carnaby Street, Foubert’s Place, Ganton Street and the small open courts leading off the main route. 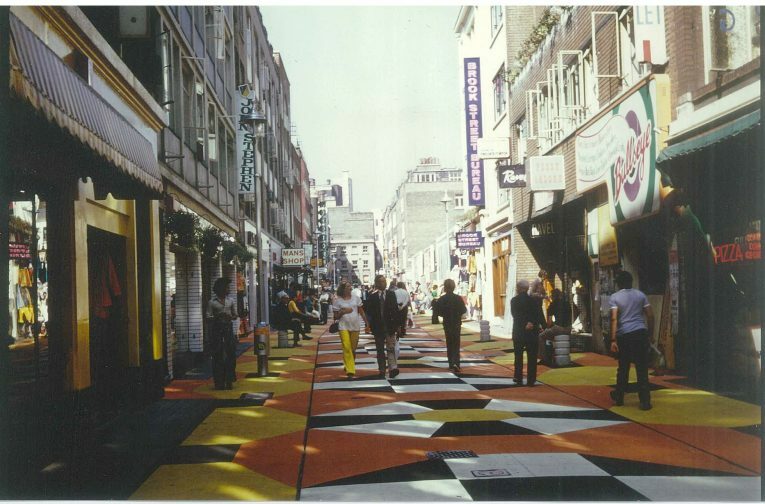 A bold, geometric design of nylon-based paving, ‘Verynyl’, was created; the black and white ‘zebra crossing’ chequers on a background of yellow and orange enliven the street scene and complement the shopfronts, as shown in the sun-drenched photos of the 1970s. At the 1973 opening, Alderman Sandford described the new precinct as ‘a kind of Shangri-La’. At South Molton Street, which followed in 1976-77, a ‘quiet’ approach was taken, responding to the attractive buildings of mainly the late Georgian period. Initial concerns from shopkeepers regarding diminishing trade due to the proposed pedestrianisation were unfounded and the change provided a shopping route directly from Bond Street Underground Station unhindered by traffic. Simple concrete paving with bands of dark bricks were selected to give an impression of a widened and lightened street, in order to create a pleasant place to linger and shop. 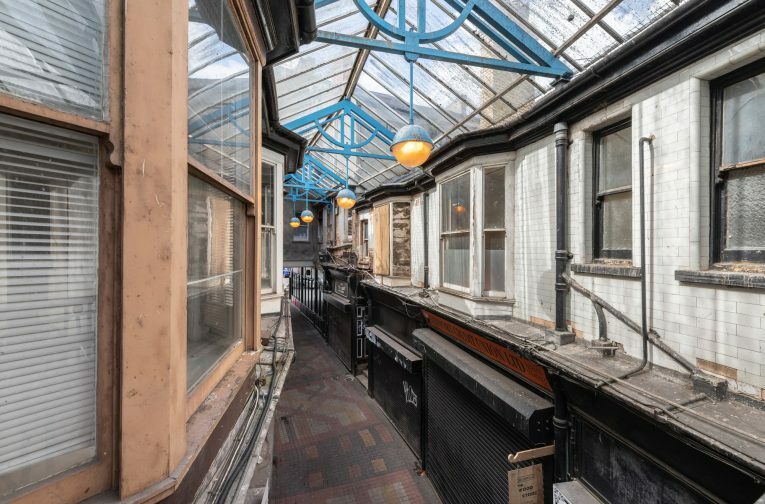 Insall’s work in heritage-led high street regeneration continues today, with a recent appointment as project architect for the revitalisation of the Market Arcade in Newport, South Wales ‒ the city’s oldest surviving shopping arcade. Built in 1869, the arcade was at the heart of town-centre Victorian growth when the city was a thriving commercial centre and port. The arcade was reconstructed and enlarged in c.1905 to form its current arrangement of 15 retail units laid out over 2 storeys, with a connecting gantry on the first floor which passes over the arcade. This later remodelling is likely to have been undertaken by Habershon and Fawkner, an architectural practice with local offices, which had designed numerous public buildings in the area. The Market Arcade remained in good condition for over a century, contributing to the vibrancy of the city centre. It became known locally as the ‘arcade of flowers’ as the small units without shop windows that opened directly onto the arcade were popular with florists. From the late 1960s it fell into decline as the focus of commercial activity shifted southwards with the development of a new shopping centre. The units struggled to adapt. In recognition, perhaps, of its continued decline, the arcade was designated as a Grade II listed building in 2000. Market Arcade, Newport, 2018. Photos © Damian Griffiths. Despite its protected status, piecemeal unauthorised work has been undertaken over an extended period, thus leading to a significant loss of historic fabric. A lack of maintenance due to poor access and a lack of clarity regarding maintenance responsibilities amongst the multiple tenants and owners have resulted in the failure of roof coverings and rainwater goods, which has caused internal decay from water ingress. The poor overall condition has contributed to the arcade’s decline in use. 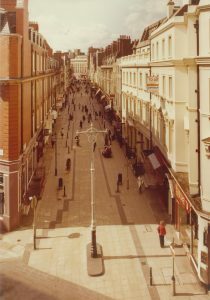 Today, like many town centre streets, the Market Arcade has high vacancy rates and suffers from pest infestation and frequent anti-social behaviour. Despite the difficulties, there remains a core of stalwart tenants and owners who can easily imagine the reinvigorated arcade again becoming a shopping destination. The project’s overarching objective is to redefine the arcade as a sustainable commercial attraction within the city centre conservation area, supporting strategic development by Newport City Council and local organisations, such as the Newport Business Improvement District. In order to achieve this, we immediately noted that the Market Arcade needed to highlight its historic features and inherent character. The project aims to restore some of the architectural detail that has been lost where remnants of fabric allow for informed restoration; the project also seeks to conserve and repair further details that are at risk or have been compromised by inappropriate alterations. The proposals will re-connect owners, traders and the wider community with the historical significance of the site and the role of the Market Arcade in the growth of Newport from the mid-19th century. A condition survey undertaken by Insall has revealed that the condition of the shopfronts is relatively good, although there is considerable variation in the style and significance of each. The shopfronts are framed by surrounds, formed of pilasters between each shopfront and a sloping fascia plus stepped cornice above ‒ a ‘goalpost’ arrangement which runs through the length of the arcade. This continuous fascia and cornice gives a rhythm to the arcade and unites the various shopfronts and windows that have individual styles, thus reflecting their use. In consultation with the Newport City Council Conservation and Planning Officers, Insall undertook an assessment of the shopfronts, defining the impact of each as negative, neutral or positive, to help inform proposals. Unsurprisingly, the elements of early-20th-century joinery were considered precious. However, the design team was also keen to retain architectural evidence of the evolution of the arcade, which has experienced a series of ‘heydays’ to date ‒ latterly in the 1960s and 1970s, as evidenced by two late 1960s shopfronts. The use of terrazzo, mosaic tile and hardwood joinery in these shopfronts is comparable to the historic arcade detailing and materials, though applied in a modern manner. On the first floor, the arcade façades are clad in unusual 3mm-thick glass ‘tiles’. The tiles are applied to a fine tolerance, with delicate quadrant tiles to the arrises of openings, and splayed tiles to arched window heads. The tiles are a key feature of the site, their reflective quality adding interest at a high level and bringing light into the arcade; this important feature will be reinstated on a like-for-like basis. The combination of mechanical and hand-made processes used to manufacture and install the tiles illustrates the rapidly changing era in which they were conceived and made. Site investigations have revealed that the glass has a studded backing which had been mechanically applied before the hand-cut tiles were pressed onto rendered brickwork. Research is currently being undertaken in association with the Welsh School of Architectural Glass to determine the best available match for the off-white glass. Analysis of earlier decoration schemes by Hare and Humphreys revealed uniformity of finishes, with varnished hardwood and grained softwood on the shopfronts and fascia, as well as off-white ironwork and white tiles on the first floor, thus reflecting Edwardian taste that is reminiscent of the Burlington Arcade in London. The decoration scheme presents an elegant yet neutral backdrop for the joyful variety of shopfront styles that will be conserved and, in some instances, replicated using existing details as a basis for new designs. The Market Arcade community looks forward to the reinvigoration of its own Shangri-La, right in the centre of Newport. The Market Arcade Townscape Heritage Scheme has just received news of its successful Round 2 application for £1.1 million in funding from the Heritage Lottery Fund (HLF) as part of the Townscape Heritage Programme.